Trust your metal testing to the experts. 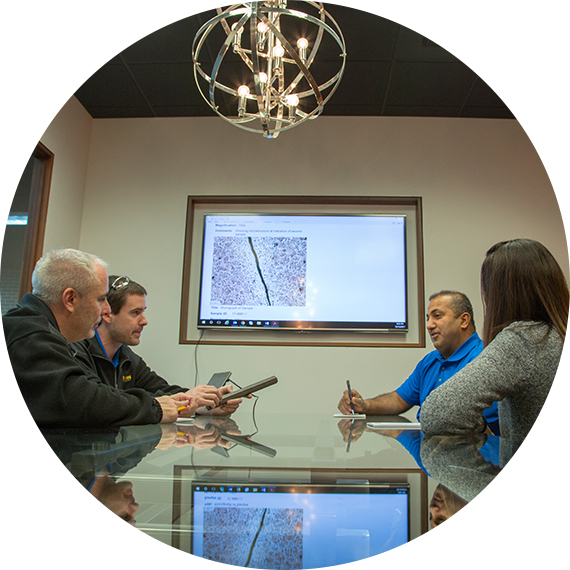 With decades of experience, we can perform accurate evaluations of your samples. An in-depth testing consultation will help you know what to expect from the test, including pricing and a timeline for your results. To request a consultation, contact us. Please complete this form with basic information about the testing or analysis you need. We will respond within one business day by phone or email to discuss your requirements and finalize details to complete your order.